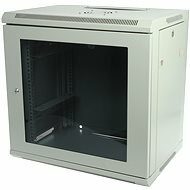 A one-piece rack designed to house 19" hubs, routers and switches used to build structured data cabling. 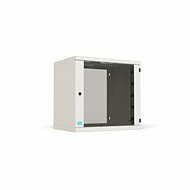 The lockable front door with transparent glass makes it possible to check the status of the devices at any time and ensure that nobody except you can access them. 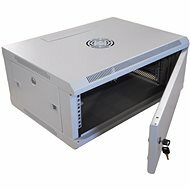 The ventilation of the cabinet is taken care of by vents in the upper and lower sides and one vent in the centre of the top. The rack is designed to be attached to a wall but can, for example, be placed on a desk. 600 mm (60 cm) Done! 485 mm (48.5 cm) Done! 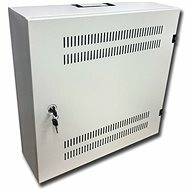 For shipping to other EU countries visit this page 19" RACK single piece 9U. 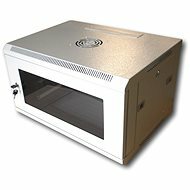 Für Versand nach Deutschland, besuchen Sie bitte 19" RACK einteilig 9U. Chcete doručit zboží do Česka? Prohlédněte si 19" RACK jednodílný 9U. Chcete doručiť tovar na Slovensko? 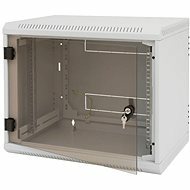 Prezrite si 19" RACK jednodielny 9U. Für Versand nach Österreich, besuchen Sie bitte 19" RACK einteilig 9U. Magyarországra történő kiszállításért tekintse meg ezt a termékoldalt: 19 hüvelykes egyrészes 9U RACK.